Davis, Party of 4: My Favorite Boy. Each night when Max goes to bed, he has to pick some cars, trucks, or trains to go with him. 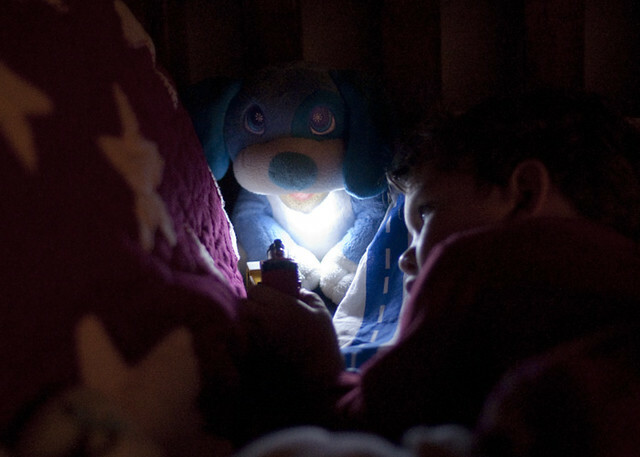 He settles into bed, turns on his "Flashlight Friend", and lines them all up. Then, he talks to them and pushes them around until his eyelids get too heavy. He's been going to bed cuddled up with some of his favorite vehicles for a long time now. It is one of the things I love the most about him. That, and the way his arms feel around my neck when I kiss him good night. Just like I tell him every night, "You are my favorite boy". He always responds, "You my favorite Mommy."